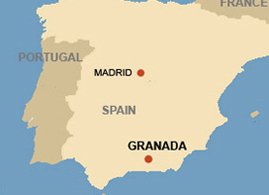 The Granada area has plenty to offer the visitor - from mountains to beaches, snow to sun and a buzzing cosmopolitan city to remote mountain villages. Find out more about the area and what there is to see and do by following the links below. The majority of the villas that we offer are located in the Alpujarras..
"He who has not seen Granada, has seen nothing"